We set off from Gaddhoo bright and early this morning – well, actually it was too early to be bright – heading to Gaafu Dhaalu Vaadhoo. 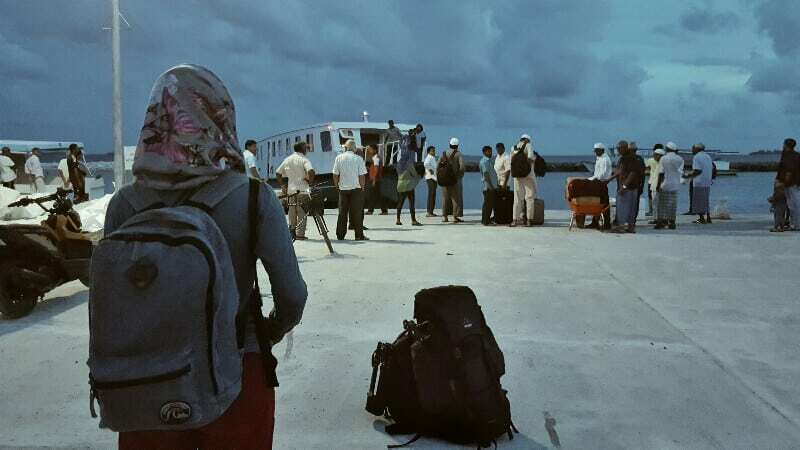 Our return to this island, after a brief layover to catch the ferry last week, marks the 18th and last inhabited island we’ve visited in Huvadhu since May 7th. The ferry captain opted for the inside-lagoon route this time, after taking the outer track last week, although the journey was surprisingly rough. But, we’ve arrived to a warm welcome, as always. It’s been an incredible start to our adventure, and we’re determined to pick up a couple more great stories before we head back to Addu to spend a few weeks writing them all up (and selecting our outfits for Laamu).